« Wishing you a New Year lit up with joy and happiness! What’s really surprising is that the bill passed the New York state Senate by a 38-24 vote and the state Assembly by a vote of 92-47. Why the surprise? Because New Yorkers are very religious people when compared to most Americans. Catholics represent 40% of New York’s population, Protestants 30%. Smaller Jewish and Muslim minorities comprise 8.5 and 3.5% respectively. Only 13% claim they have no religion. The surprising factor is that 70% of these are Christians and profess the same God. How is it possible for so many to turn against their God and vote for candidates who support the annihilation of God’s most sacred unborn creations. Can you imagine it – an innocent baby, just hours from being naturally born, murdered in cold blood? It’s disgusting. 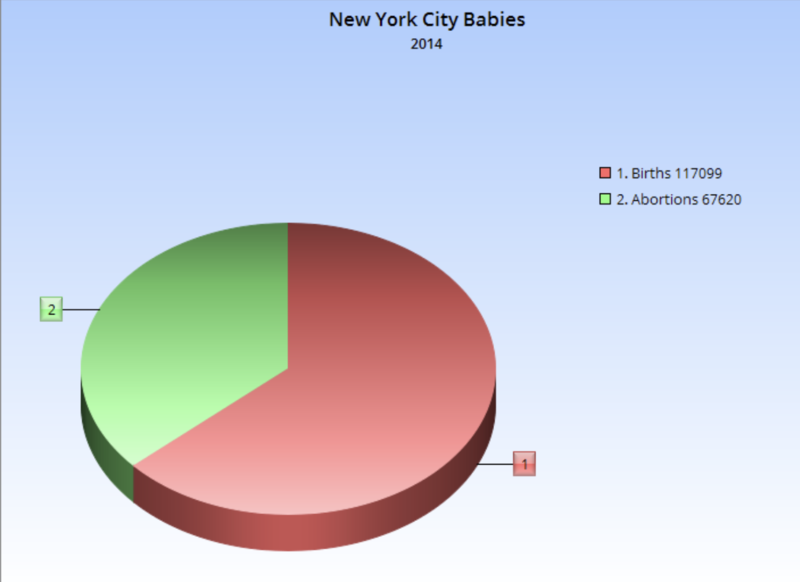 Before this law was enacted, the Centers for Disease Control and Prevention in 2013 already showed that New York City had a high rate of abortions – 59.8 percent of its live birth rate. This means, as pointed out in December 2017 by NewsBusters, that one out of every three babies ends up being killed. This photo shows maternity before and after giving birth. 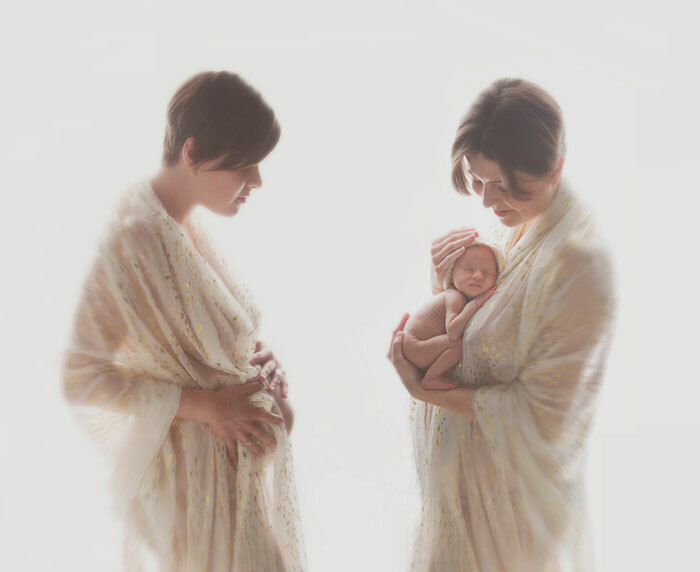 It’s a miraculous and beautiful journey involving God, mother and child. To select and intentionally kill the child before birth is a crime against humanity. It is a direct crime against God who gives life to the child at the very beginning of its creation. As the picture clearly shows one day before and one day after, the child is the same, only the location is different. The Bible tells us that children have a special place in God’s heart and anyone who harms a child is inviting God’s wrath upon himself. Pregnancy is a beautiful thing. It’s the journey of bringing a tiny new person into the world and none of us would be here if it weren’t for it. Archbishop of New York Cardinal Timothy Dolan responded to calls from Christians to excommunicate New York Gov. Andrew Cuomo’s for his role in enshrining a “fundamental right” to virtually unlimited abortion in the state, by saying: Excommunicating Andrew Cuomo is “Not an Appropriate Response” for Legalizing Abortions Up to Birth. What? I didn’t quite catch what you said Cardinal Dolan, would you repeat that again for us Catholics: Excommunicating Andrew Cuomo is “Not an Appropriate Response” for Legalizing Abortions Up to Birth. Wow! This is Gov. Andrew Cuomo who has always been an advocate of abortion, has just signed a bill to legally kill unborn innocent children throughout pregnancy, mocks the Catholic Church and you say that excommunication is not an appropriated response. This bill paves the way for New York to become unquestionably an abortion paradise. At present, a third of all new lives are aborted. Does the Cardinal not understand that there are two Rights involved here: the right of the woman and the right of the child. Both rights are equally given to both by God. Yet this new law values the life of the mother and denies the life of the child. Last year Cuomo made it very clear that he wants New York to be the abortion capital of the world. Now, the abortion extremist has gone one step further by stating at the Capitol Pressroom that pro-lifers are not welcome to live in New York. That a politician can say that certain people shouldn’t even be able to live in the State of New York, simply for believing in the sanctity of life, is truly shocking. Shows signs of another Hitler pointing his finger at an unwanted class of people. 2271 Since the first century the Church has affirmed the moral evil of every procured abortion. This teaching has not changed and remains unchangeable. Direct abortion, that is to say, abortion willed either as an end or a means, is gravely contrary to the moral law: “You shall not kill the embryo by abortion and shall not cause the newborn to perish.” God, the Lord of life, has entrusted to men the noble mission of safeguarding life, and men must carry it out in a manner worthy of themselves. Life must be protected: abortion and infanticide are abominable crimes. 2272 Formal co-operation in an abortion constitutes a grave offence. The Church attaches the canonical penalty of excommunication to this crime against human life. ‘A person who procures a completed abortion incurs excommunication’… The Church does not thereby intend to restrict the scope of mercy. Rather, she makes clear the gravity of the crime committed, the irreparable harm done to the innocent who is put to death, as well as to the parents and the whole of society. 2274 Since it must be treated from conception as a person, the embryo must be defended in its integrity, cared for, and healed…, like any other human being. …..
Where are the Catholic Church dioceses in the state of New York on condemning by name, starting with Andrew Cuomo, the grave mortal sin they have just committed by passing this murderous law? Where are these bishops and priests publicly identifying by name each supposedly Catholic law maker who voted for this law and condemning their action in the strongest language? Where are the Catholic bishops and priest publicly stating that these Catholic politicians, who voted for this law are not to be served Holy Communion? Where are the Catholic bishops and priest following the Church’s teachings that these Catholic politicians who passed this murderous law are to be excommunicated from the Church for doing this unless they publicly repent? These Catholic bishops and priests who do not do these things are not defending innocent life, as they claim they do. They are duplicitous and are leading others to grave mortal sin. Please God give us strength to continuously fight this relentless evil! Thank you Father for your words of support which join today Wash. D.C. priest Msgr Charles Pope, and three Bishops: Scharfenberger, Strika, Strickland. I read that a Bishop can ex-communicate (I don’t know these things). Let us hope it will happen … the hands of Cuomo are covered with the blood of babies. It goes beyond what I can even let enter into my mind without weeping.